One of the UK’s hidden gems is to welcome the travel trade. Upton-upon-Severn is a small town in the Malvern Hills district of Worcestershire. Situated on the west bank of the famous River Severn, Upton is thought by many local tourism businesses to be ‘a perfect coach stop’. Coach and tour operators and group travel organisers from around Great Britain will visit this delightful and historic riverside town between 10 -11 September 2017 where they will be treated to a special showcase of its tourist attractions. Organised by Malvern Hills District Council in conjunction with travel trade company Steve Reed Tourism Ltd from Hampshire, the two day event is being arranged to bring in new and additional coach parties – and their spending power – to Upton and the surrounding area’s tourism economy. 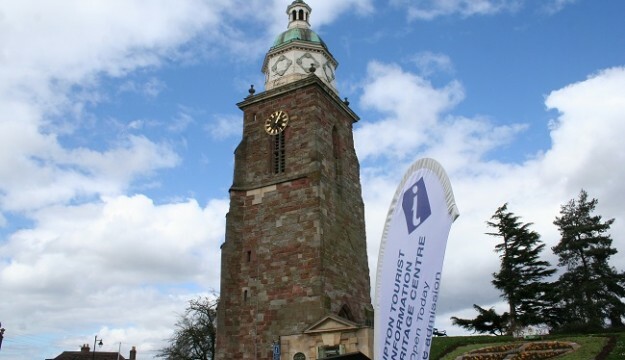 Upton-upon-Severn also hosts an impressive array of award winning festivals each year. These include the Folk Festival; Jazz Festival; Blues Festival and the very popular Sunshine Festival. It’s also famous as the site of the Battle of Upton during the English Civil War, visited by Oliver Cromwell. And its Tudor House Museum attracts lots of visitors. The town is blessed with regular boating trips arranged by Severn Leisure Cruises – passengers can enjoy relaxing trips to the nearby cathedral city of Worcester or to Tewkesbury. They also do their very popular afternoon tea/fish and chip lunches/Sunday lunches with jazz or blues live bands. ‘We are convinced that Upton has massive potential to develop as a high quality and all year round coach stop for groups visiting or passing through the Malvern Hills and Worcester. Coaches can bring a lot of welcome spending and increased footfall for local businesses. ‘Many people who come to the Malvern Hills for the first time are stunned by its natural charm and beauty – and that is why we know we can successfully grow the numbers of coach parties into Upton-upon-Severn,’ explains Malcolm. The coach operators – decision makers all – will start their familiarisation tour on the afternoon of Sunday 10th September with visits to a number of attractions across the area before a special ‘Welcome to Malvern Hills’ dinner at the Bank House Hotel, Spa & Golf Clubthat evening. The tour planners will visit Upon-upon-Severn on the Monday morning 11th September from 10.00 with a cruise on board the Conway Castle before a guided tour of the town. ‘Our aim is to make it easy and attractive for coach companies from all over the country to include Upton in their tour schedules. They’ll see that their passengers will receive a warm welcome every time they visit us. We’re also pleased that we were featured in a recent national newspaper article entitled ‘A Good Place to Live 2017’ – our guests will see that we’re also a good place to visit!, says Annette.